What does it take to be great? 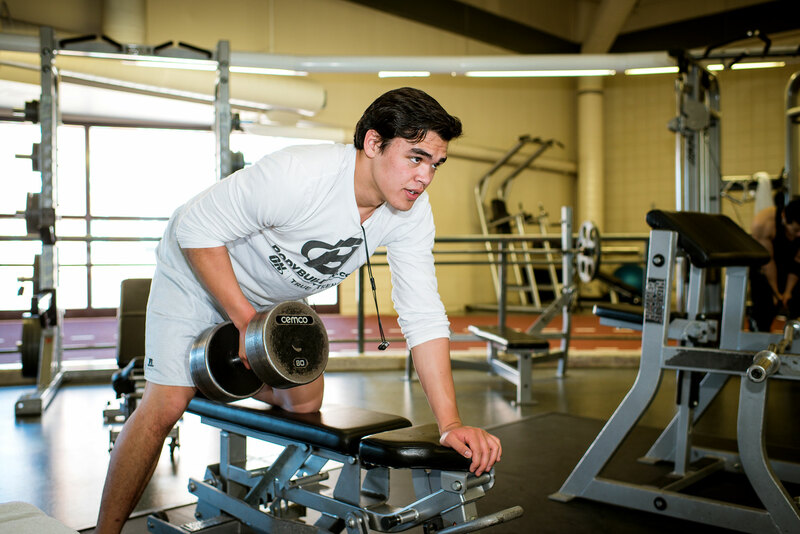 All-Star high school football player Tyler Santos believes he and his father have found the answer to these questions working out together at YMCA Calgary. They have seen first-hand what makes an athlete great is the drive to get up every morning and better themselves physically and mentally. Tyler was introduced to this concept at a very young age and it is what has enabled him to be so prosperous on the football field. Tyler started playing football at eight years old and was a skilled athlete right from the beginning. He was always the starter and that is why it was such a jarring switch when, at age 12, Tyler moved divisions and positions, becoming the rookie. He was no longer his coach’s first choice and his natural talent alone was not enough to be the star of his new team. After a full season of little field time and ample bench time, Tyler felt defeated. Tyler agreed to let his dad become his trainer and started slowly with light weights. 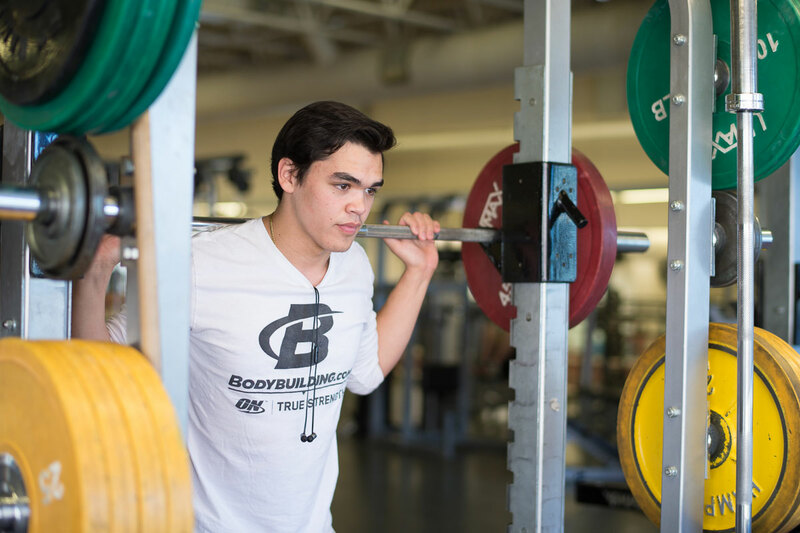 Under the careful guidance of his father, Tyler began to build himself into a better athlete. Every day, Tyler got a little bit stronger and a little bit faster. Tyler learned that excellence is not a quickly-reached destination, but slow progression to the goal through consistent activity. Across the next several years, Tyler and Joe went together to the Shawnessy YMCA most days of the week and put in the work needed to become great. Together, they mapped out the path to achieve Tyler’s fitness goals and that path included consistently working out at the Y. 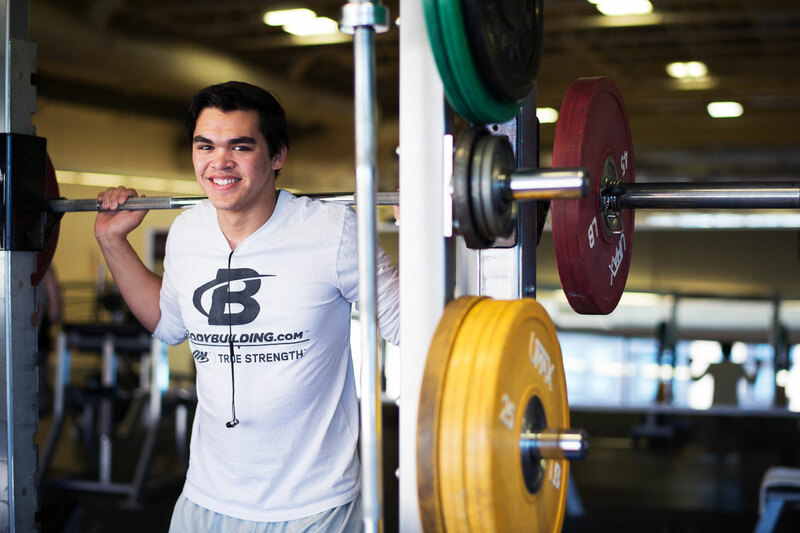 “I love the weight room and the whole place really influences me to do better,” says Tyler. 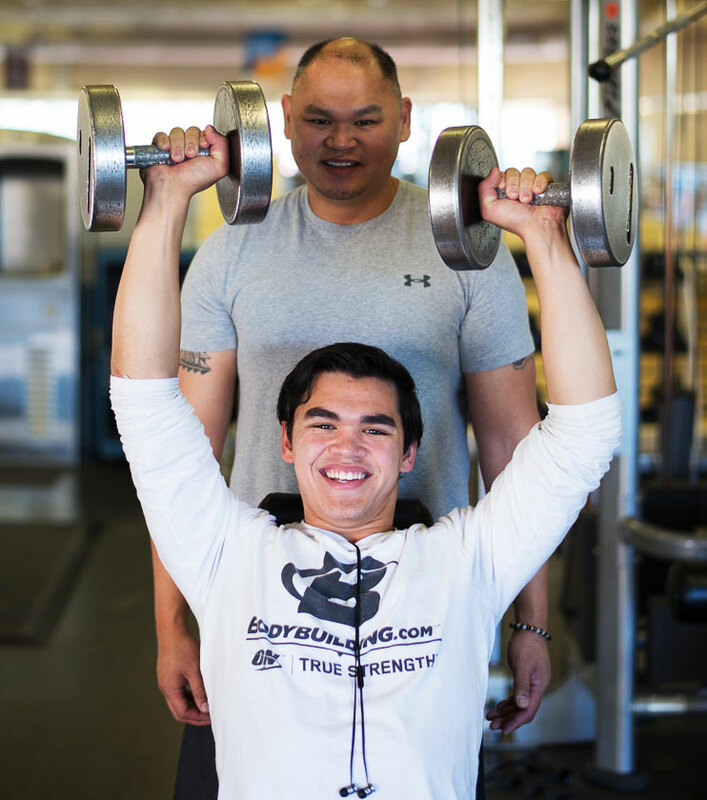 “The YMCA is a place to get healthier and improve yourself.” Also, working out with his dad strengthened an already strong bond between the two. “It is great to have my dad train me and it was just great to work out together” says Tyler. Joe believes that it wasn’t the weight floor alone that benefited his son’s life, but the entire family atmosphere of the YMCA. The family environment allowed Tyler to interact with kids his age to encourage healthy competition and realistic goal setting. It has now been five years and Tyler and Joe still frequently work out together. Tyler went from the bench to an all-star football player because of his dedication to healthy living and physical fitness. Joe got to hang out with his son more and stay in excellent shape. YMCA Calgary was their win-win. Now, Tyler is looking ahead and his future goals include playing competitive college football in the United States. 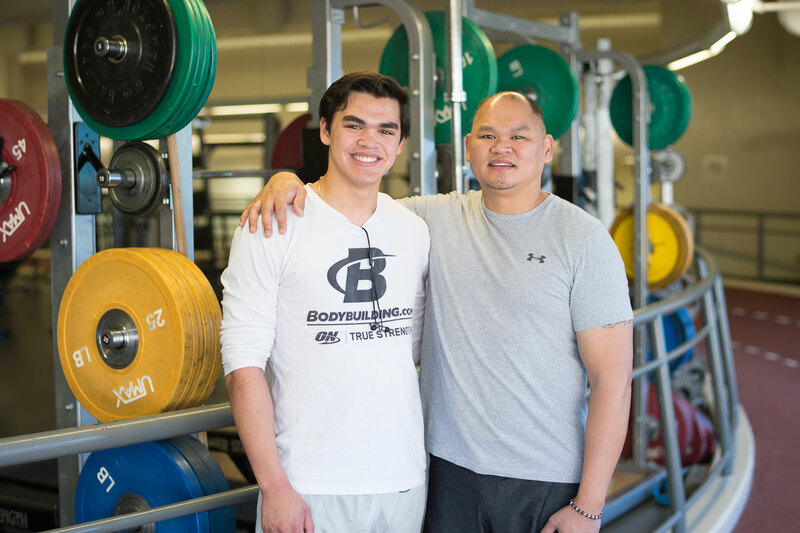 Tyler and Joe plans to keep training together at YMCA Calgary and become a better athlete, one workout at a time.